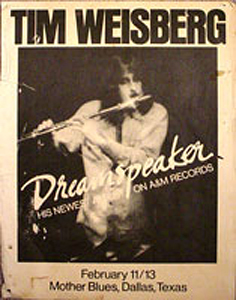 Description: 8x11 BW Tim Wesiberg 1974 Dreamspeaker Tour Handbill. Rare flyer from Mother Blues. Note: This item in VG- condition. Creases, pinholes, discoloration. 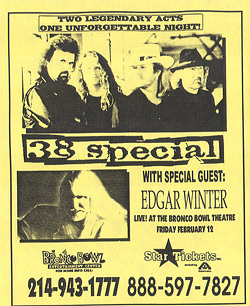 Description: 3x5 BW 38 Special & Edgar Winter 1995 US Tour Handbill. Description: 3x7 BW Twig The Wonderkid 2001 DJ handbill.